Halloo people! Hope you all are having fun and enjoying vacation like me. For more than a month I’m away from my love – my blog only because I’m enjoying my vacation here at my hometown.😊 Otherwise you all know that i can’t stay away from blog not more than a week Lazy mode is on and will continue until september! hehe! I’m enjoying the monsoon with all the deliciousness served by umma and her sis with loots of love. I want this recipe to be on the blog badly so tried to click it from here in between some greens!! Since my hubby is not a fish lover i can’t think of making it there (KSA)! 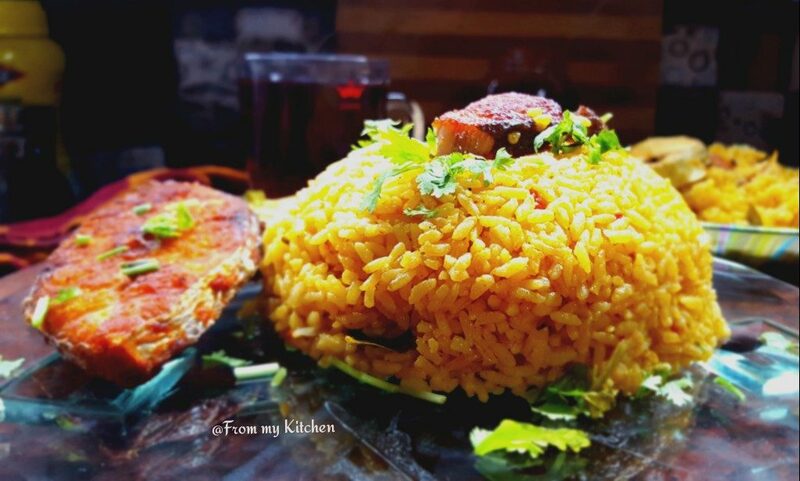 This is such a flavorful rice with fried and boiled fish served on top. 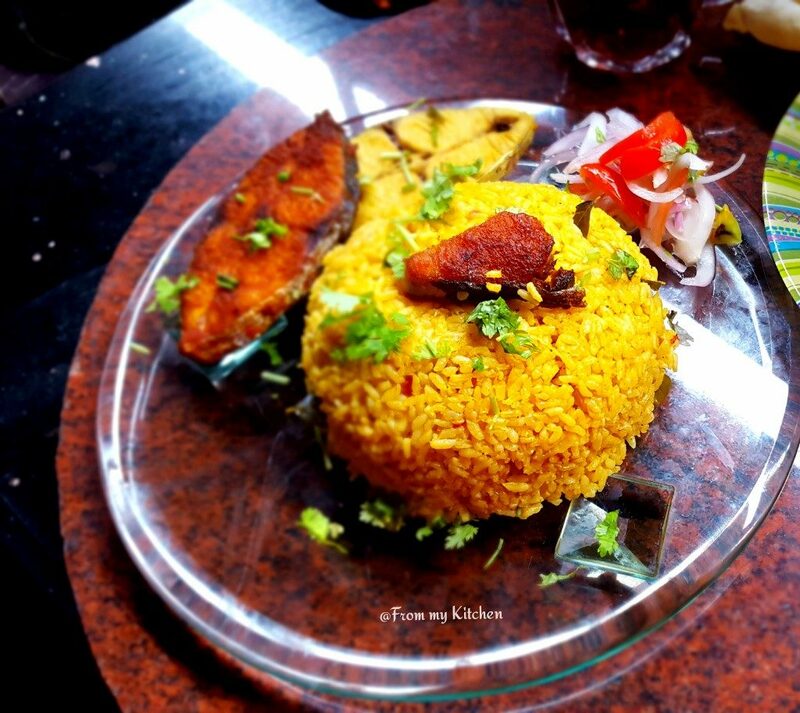 For this rice we all prefer the boiled fish more than fried one. This is different from biriyanis,with no compromise in it’s flavors.While making masala fish is boiled in that gravy and some fish are marinated and fried separately. 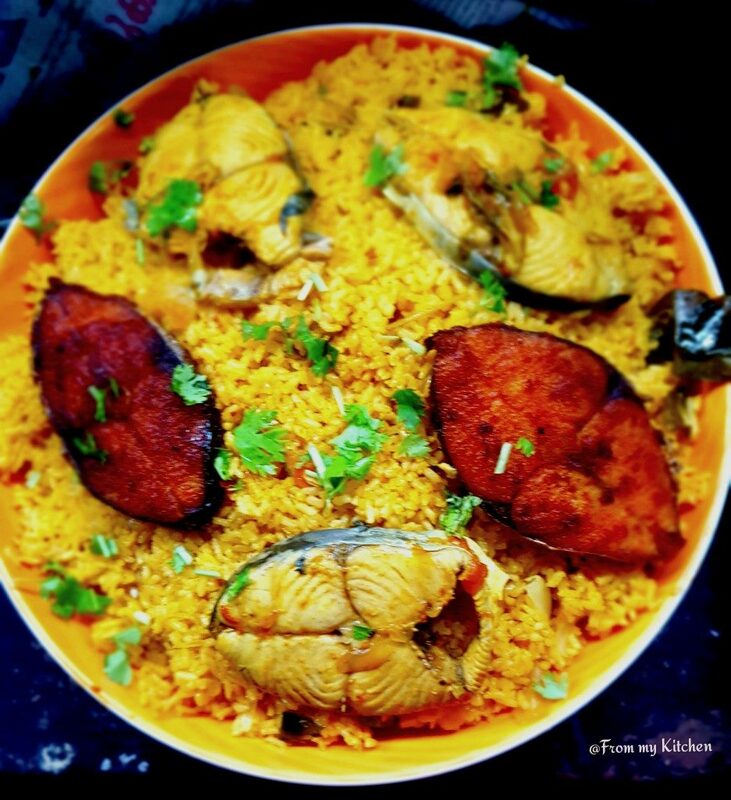 After the fish is cooked completely it will be taken out and then the rice is cooked in this masala with enough water. 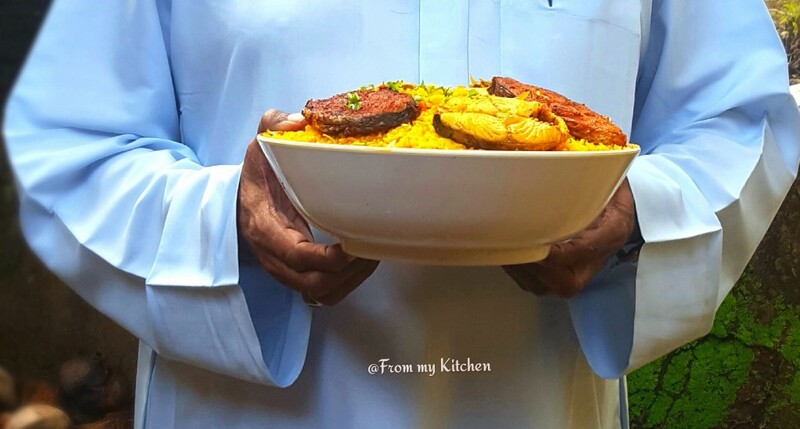 Then it’s served on top of the rice while dishing up. Now i want to irritate mom for the recipe!Let me do it! In a pan pour oil splutter curry leaves and pour the onion masala,squeeze in lemon juice, add garam masala and lots of coriander leaves. Pour 2 cups of water and let it comes to a boil. When it’s done take it out and keep it aside. Now in a large pot pour ghee+oil when its hot enough roast the onion along with a pinch of turmeric powder. Add the washed and drained rice to the oil and roast it for 5 minutes. Add enough salt.Pour the boiling water and masala, mix well and let the rice cook until done. 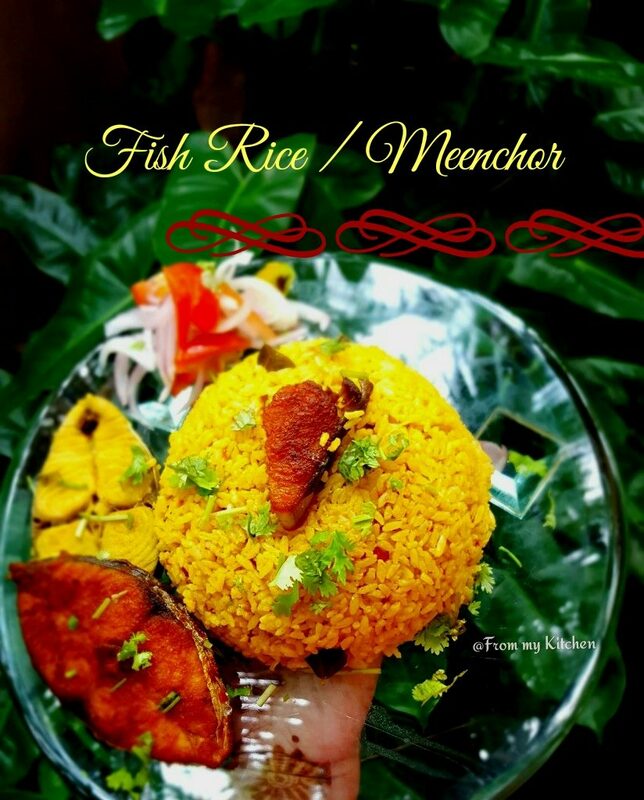 While serving garnish it with both fried and boiled fish with some coriander leaves on top. That’s my uncle holding the rice bowl! !When he saw me clicking the pic came running to hold the plate!haha!It’s our family fav make it urs too!